Why do we need patient involvement? Patients are at the heart of everything the NHS does (see NHS Constitution for details) and therefore the NHS workforce need to know what patients think about the service they provide. The next generation of NHS workers need to value the views and experiences of patients from the start of their training. The value that we place on patient involvement in our programmes is outlined in our MAHSE PPI Guiding Principles document. Patient involvement is also a requirement of an accredited programme (see HCPC Standards for Education and Training for details). Who are NHS Healthcare Scientists? NHS Healthcare Scientists play an important role in patient care. They are involved in 80% of clinical decisions in patient diagnosis and treatment. Every year the NHS train up to 500 Healthcare Scientists. For more information, please visit our ‘What is a Healthcare Scientist?‘ page. There are many terms and acroynms involved within the Healthcare Sciences and you can find a list on our Useful Terms and Acroynms page, with links to relevant websites. Our volunteers come from a range of backgrounds. We are always looking for patients and carers with an interest in healthcare training who are willing to share their experiences with NHS trainees. If you are interested in getting involved, please e-mail the MAHSE Administrative team for more information. What will being a volunteer involve? 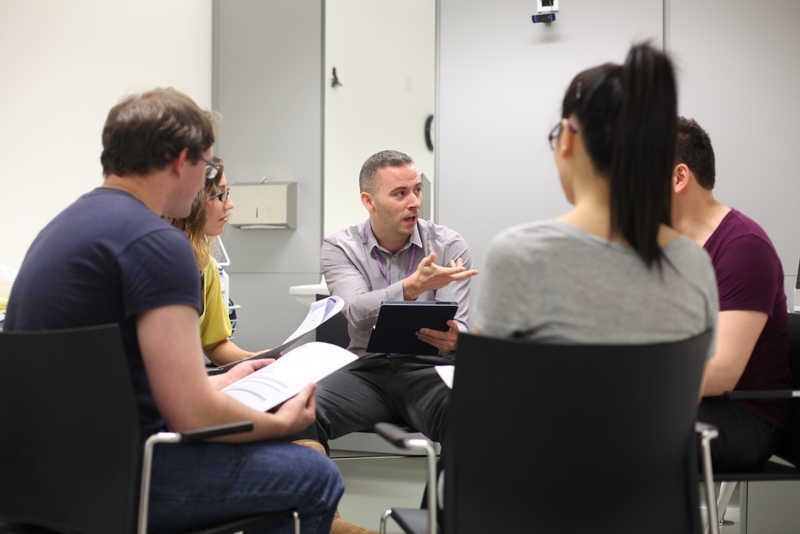 There are many ways that you can get involved, from providing a patient view of an academic lecture, helping deliver classroom sessions, being involved in the assessment of students or assisting the programme team in evaluating the course. You can watch the video above for further information about the diverse ways our Lay Representatives get involved. A subtitled version of the video will be available shortly. Our Lay Representative Information Leaflet, provides an overview of the different Healthcare Science areas MAHSE are involved with and what we are looking for in a Lay representative. What do our current volunteers say?